From clever to downright kitschy, here are some fantastic iPhone cases. Ice Cream Sandwich Silicone iPhone 4/4S Case, $15. etsy.com. 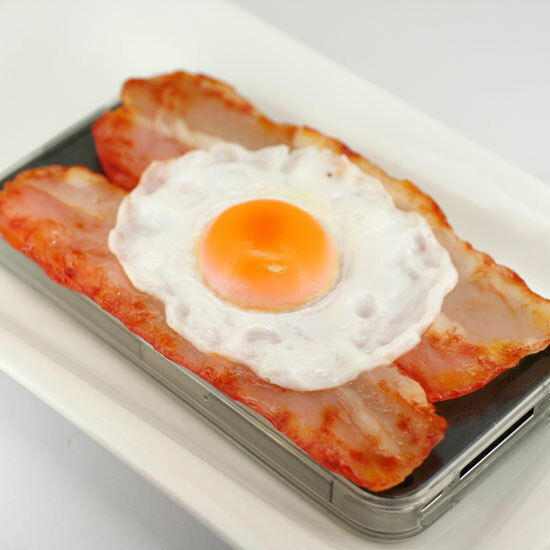 iMeshi Sunny Side Up with Bacon iPhone 4S Cover, $50. genius-cell.com. 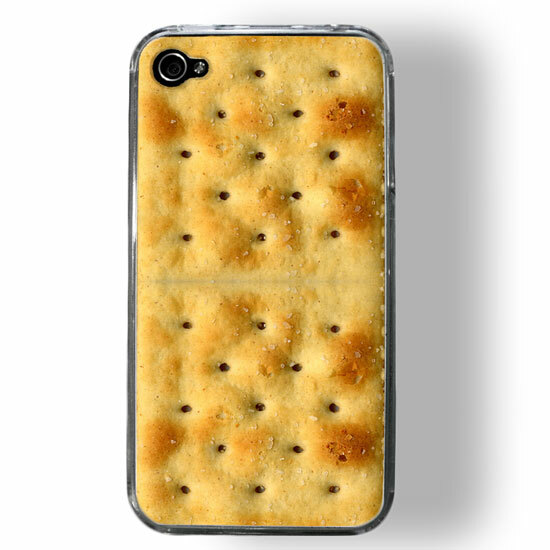 Zero Gravity Don’t Be Salty iPhone 4/4S Case, $25, amazon.com. 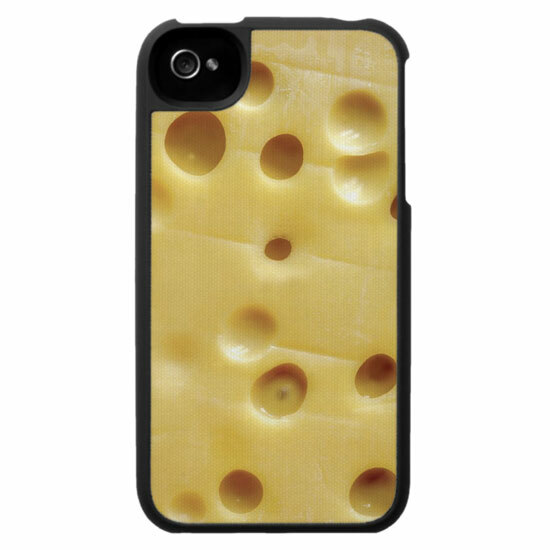 Speck Fitted Swiss Cheese (Emmentaler) Fabric-Inlaid Hard iPhone 4/4S Case, $40. zazzle.com. 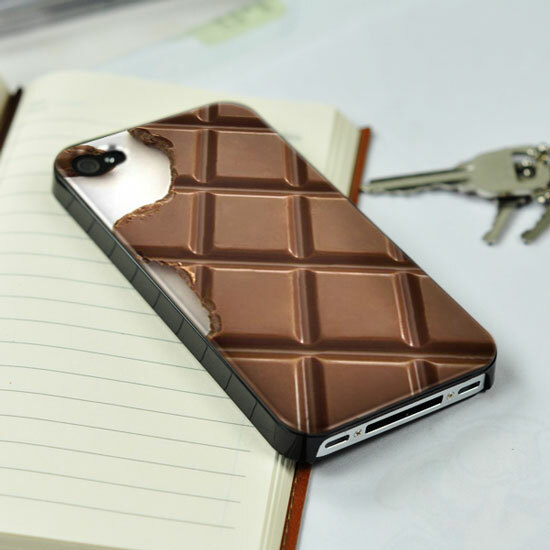 Chocolate Chunks Candy Painted iPhone 4/4S case, $29. applecases.net. 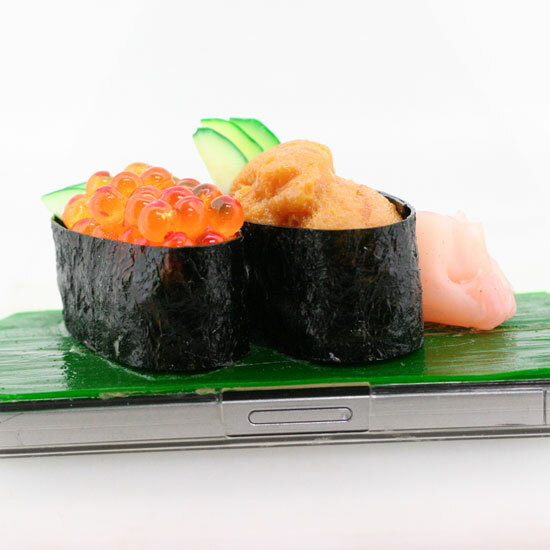 iMeshi Uni and Ikura Sushi iPhone 4 Cover, $50. genius-cell.com. 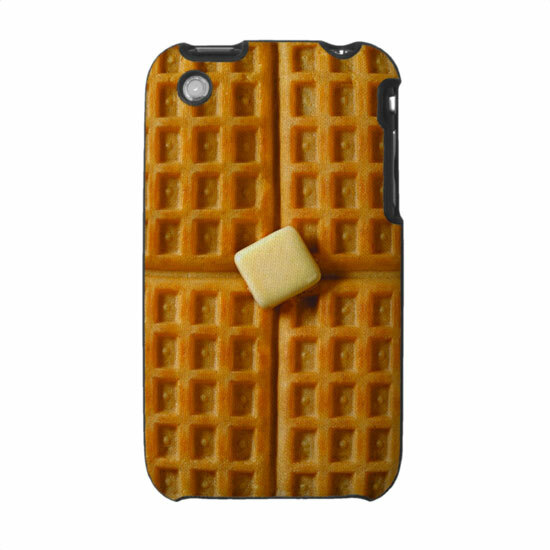 Speck Fitted Yummy Breakfast Waffle Fabric-Inlaid Hard iPhone 3G/3GS Case, $42. zazzle.com. 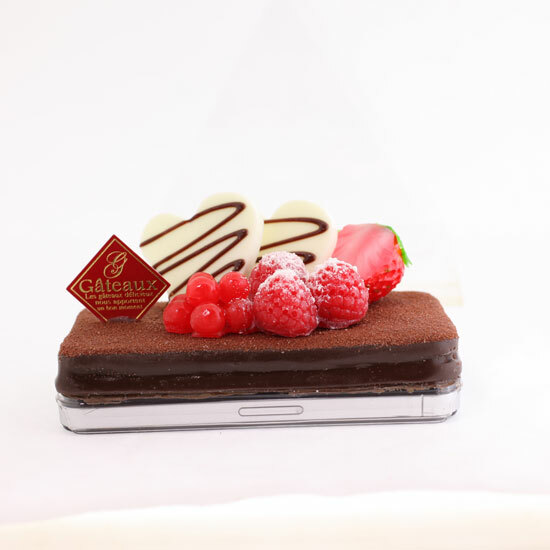 iMeshi Chocolate Cake iPhone 4 Cover, $50. genius-cell.com. 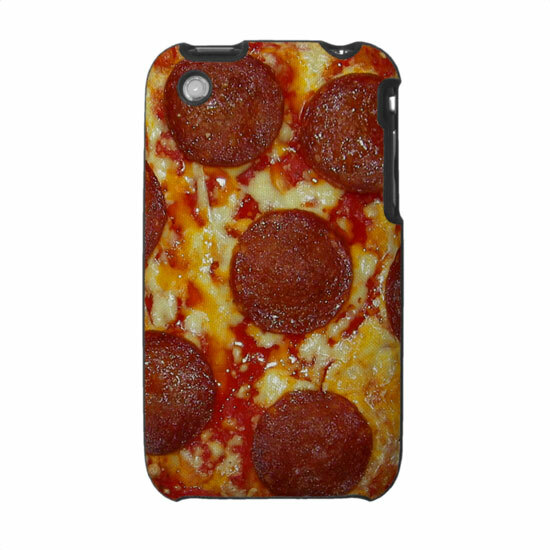 Speck Fitted Pepperoni Pizza Fabric-Inlaid Hard iPhone 3G/3GS Case, $42. zazzle.com. 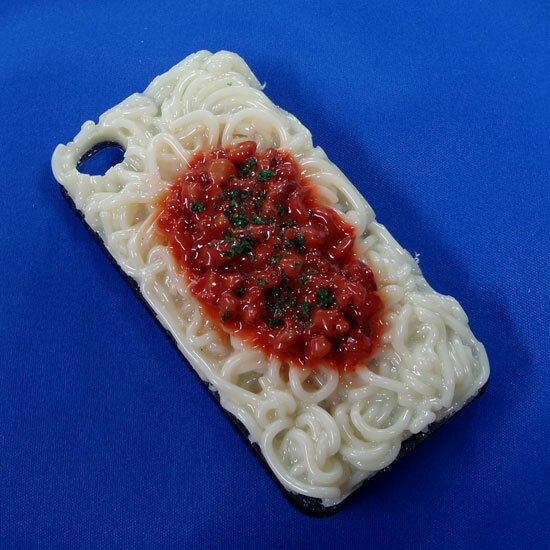 Spaghetti with Meat Sauce iPhone 4 Case, $37. fakefoodjapan.com. 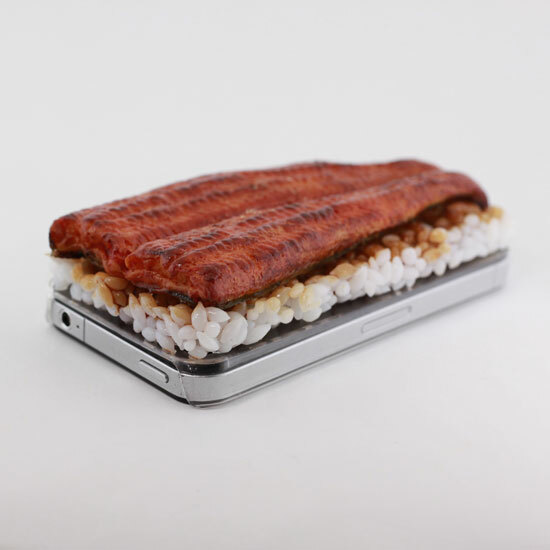 iMeshi Unagi Sushi iPhone 4S/4 Cover, $50. genius-cell.com. Speck Fitted Funny Beer Fabric-Inlaid Hard iPhone 4/4S Case, $40. zazzle.com. 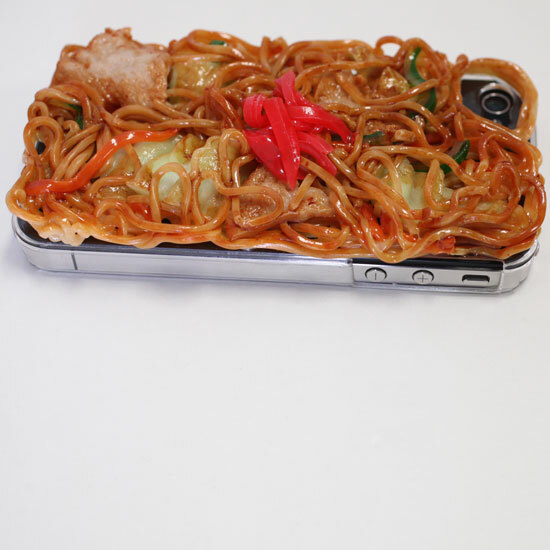 iMeshi Yakisoba iPhone 4S Cover, $50. genius-cell.com. 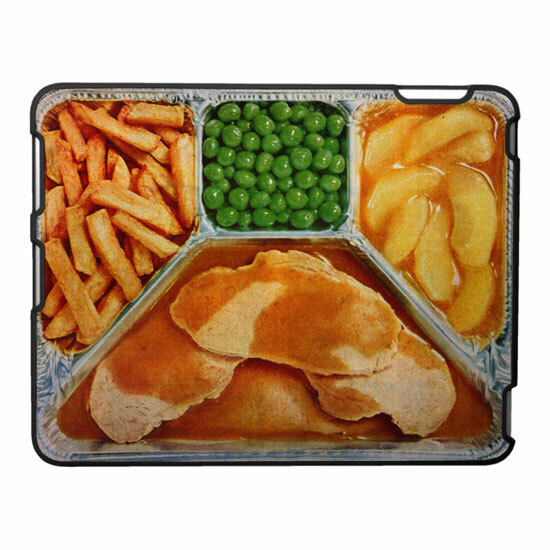 Speck Fitted Retro Vintage Kitsch TV Dinner Pork Loin with Fries, Peas and Glazed apples Fabric-Inlaid iPad Case, $60. zazzle.com.